Ok, I think I've spotted someone completely new. Try to follow the outer characters clockwise starting with Cao Pi in sw corner. So there's Cao Pi, then Kojuro Katakura and Gracia, then Masamune, and then...someone i've never seen before. The weapon kinda resembles Yue Ying's from DW5. The next one after is Huang Gai. Xiahou Jia wrote: Ok, I think I've spotted someone completely new. Try to follow the outer characters clockwise starting with Cao Pi in sw corner. 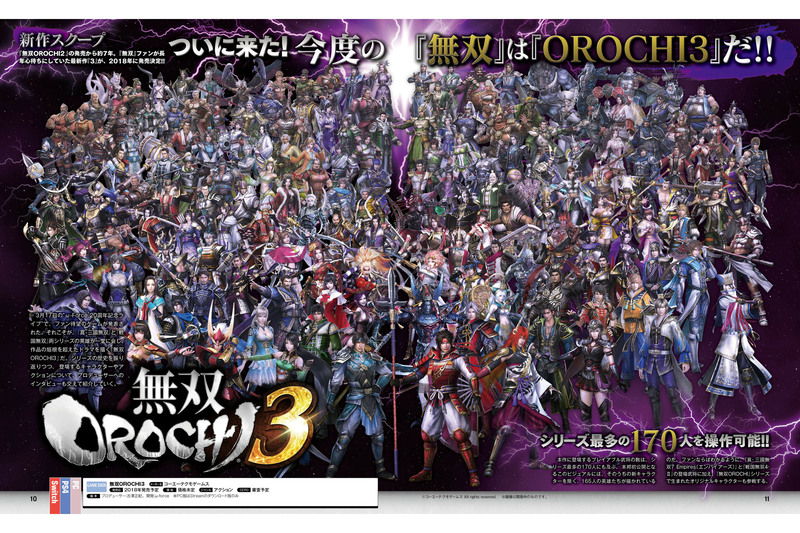 So there's Cao Pi, then Kojuro Katakura and Gracia, then Masamune, and then...someone i've never seen before. The weapon kinda resembles Yue Ying's from DW5. The next one after is Huang Gai. Hmm, I'm not sure who you mean, but going up from Cao Pi in pairs, I see Gracia/Wang Yi, Kojuro/Musashi Miyamoto, Masamune/Ieyasu, Motochika Choskabe/Hanzo Hattori, is one of those who you meant? I think I read somewhere that Orochi's not going to be the villain in this one. Anyone know if this is the case? Thanks for the much better picture, Valvatorez! Need book recommendations? Or maybe a snippet of information? Click here to view my library of Chinese history resources! That's right Sun Fin, the villain this time around is going to be Zues. Interesting! Whilst I think it'll be good to freshen the series up, that does make me worry that the emphasis will be no the Greek characters rather than the Chinese ones that I play the game for! What do you guys think? I think the Greek characters are primarily going to be villains, at least thats the idea that I get from Zues being the villain. The whole Pantheon would replace the Orochi crew. Apparently not every character will be played in story mode, which is a big downer. That would make sense! I was wondering if the likes of Achilles would be the main protagonist?